As the media shares details of celebrity break-ups we learn that even the rich and famous aren’t immune to financial hardships. With stars like Brian Austin Green and Avril Lavigne taking steps toward a life on their own, we are reminded of the importance of keeping our financial history intact. Divorced or not, we all understand the importance of having a high credit score. Unfortunately when divorce decrees are drawn up, a simple attorney error or oversight can result in long-term negative affects on your personal credit. Since these papers identify who is awarded what debt, it’s essential that debts that came from joint accounts are only in the person’s name that is awarded that debt per the decree. 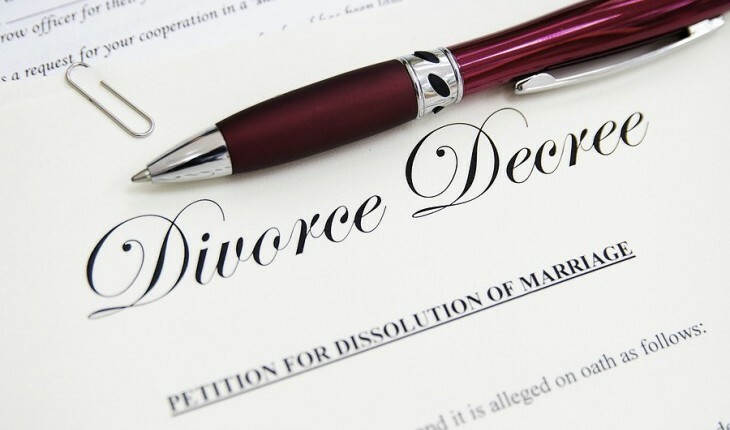 In most cases the decree is a simple agreement between divorcing couples. It does not separate liabilities – and that’s where the problem lies. If, while you were married, your significant other had created some debt on your joint accounts, both of you are affected. Each of your social security numbers are attached to the obligations — and all three credit bureaus have this information. Related Link: Kelsey Grammer’s Ex Could Get $30M in the Divorce! When you decide to end your relationship and love, a divorce decree is not the best way to handle debt. The reasons become obvious when you explore a number of likely possibilities. What if, a couple of years after the divorce, your ex decides to be late on a debt obligation that is still reporting in your name? Imagine what will happen to your credit score! It can suddenly drop 150 points – and you may not even know it! Unfortunately, this is not uncommon. And the problem is now yours even though the debt was awarded to your ex. What if it’s a house at stake and your former spouse decides to let it go to foreclosure? Are you aware that you cannot buy a home for the next three years because of the foreclosure record on your credit report? Here’s some expert love advice offered by divorce financial planners. They insist that divorcing couples should never rely on the other spouse to pay bills that were awarded to them per decree. In essence, this is a disaster waiting to happen. These issues must be tackled up front so you’re not vulnerable once the divorce is final. If you are among those who have already made this mistake, it’s important that you go back to court to get those debts off your name. If a house is involved especially, get it refinanced out of your name or sold, depending on the situation. If your ex is behind on the mortgage, you might want to go back to court and take over the mortgage payment in return for having the house awarded back to you. Divorce is tough enough without having to deal with financial crises in the months and years to follow. Be aware. Make sure you don’t have debts in your name that get awarded to your ex. Don’t put him or her in the position in which they can ruin your credit. If you are not sure about your credit rating, get your current credit report with credit scores to make sure there is no damage done. There are many resources on the Internet for accessing this information. My relationship advice: Don’t put it off! For more information on and expert relationship advice from Hope After Divorce, click here. For other free articles on child-centered divorce, a free ezine, valuable resources for parents, coaching, and other services, visit http://www.childcentereddivorce.com. Rosalind Sedacca, CCT is founder of the Child-Centered Divorce Network and author of the new ebook, How Do I Tell the Kids … about the Divorce? A Create-a-Storybook Guide to Preparing Your Children — with Love!